Nebulizers are trending up—a lot of people are being told to get one, but they may not be sure what to do with it afterward. If you haven’t yet encountered nebulizers, they’re a device that turns liquid into a breathable mist; they can be a great immune support tool during cold and flu season, so you may want to jump ahead of things and pick one up today. There are lots of natural ways you can support your immune system (and specifically your lungs) when you have a nebulizer on hand. One of the most common recommendations in natural health circles is to used purified water and salt, but I’m not the biggest fan of it—it needs to be made really clear that tap water, even boiled and cooled tap water, isn’t good enough given how sensitive lungs are. For people familiar with sinus rinses and sinus floods wanting to take another step to support their respiratory system, they need to know that the high level of care their nasal cavities demand isn’t high enough for your lungs. And not just any bottled water will do, either, since some are tap water or even unpurified spring water. The label needs to indicate an extra step like reverse osmosis, distilled, or purified in some other way. Then there’s adding salt. How much varies person to person, case by case, and recommendations from different people can have a wide range of disagreement. It may seem basic and easy, but I like to stick to a higher standard that doesn’t require as much work if you’re feeling under the weather: colloidal silver is a safer, faster, easier, better choice. Just make sure to choose a high quality brand, like MesoSilver®, which offers the lowest possible ionic content, small particle size, and a high count of parts per million (of silver nano particles in water). Here’s what you do: get comfy. Grab a book, project, turn on a show or just sit with your eyes closed, put on the nebulizer mask with a little bit of colloidal silver in the well, and turn it on. Although new models are quieter, older models can be noisy, so make sure your pets aren’t going to freak out and the subtitles on the TV are on. Then just relax with some deep breaths for twenty or so minutes. The deep breathing is relaxing in and of itself. The moist air is a blessing during winter. And the added immune support might mean an easier night sleeping or just some relief from symptoms (you can try nebulizing once a day to see how it works for you, you’ll probably settle on twice a day). 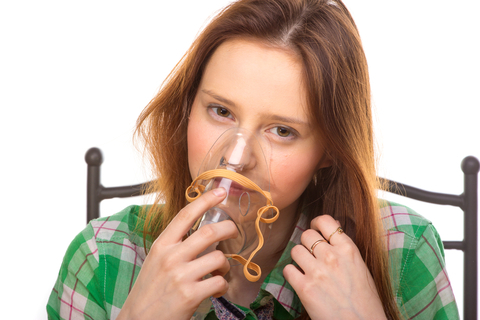 Having a safe, natural option to use with your nebulizer means you can get more use out of it. (Just avoid using colloidal silver if you have a rare silver allergy).